Paris, a city home to some of the planet’s most iconic monuments and attractions, is also home to some of the worlds most iconic boulevards. 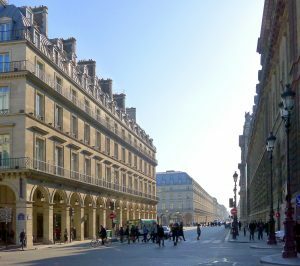 From The Champs-Élysées to the Avenue Victor Hugo, we have assembled a list of the most famous streets in Paris. After reading you will be an expert! The Avenue des Champs-Élysées has been beguiling visitors with its ritz and glamor for a very long time. 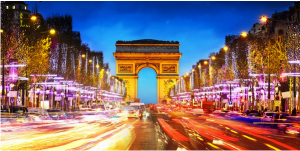 Dominated by the famous Arc de Triumph, the Champs-Élysées offers designer shopping, luxurious dining and more. Visitors can climb to the top of the Arc de Triumph. The view from the top will not leave you disappointed – you will be able to see all of Paris! Avenue Victor Hugo, like many famous streets in Paris, begins at the Arc de Triomph. It is the second longest avenue and named after the famous Victor Hugo, who spent his last days at the Hôtel Particulier. A statue of Hugo can be found at the intersection with avenue Henri-Martin. Avenue Victor Hugo is famous for its incredibly beautiful architecture – perfect for a casual stroll. This street is home to the Théâtre des Champs-Élysées where visitors can watch different operas. 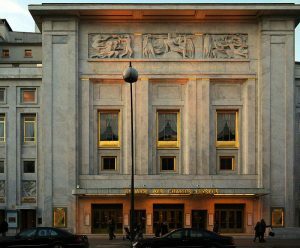 The opera is also the home of two magnificent orchestra’s. If you have a little extra time, we definitely recommend paying a visit to this historic performance venue. Additionally, this avenue is respected for its importance to the fashion industry. Many famous brands can be found here including Vuitton, Loewe and Céline and more. This highly populated, energetic street runs through very heart of Paris, parallel to the river Seine. 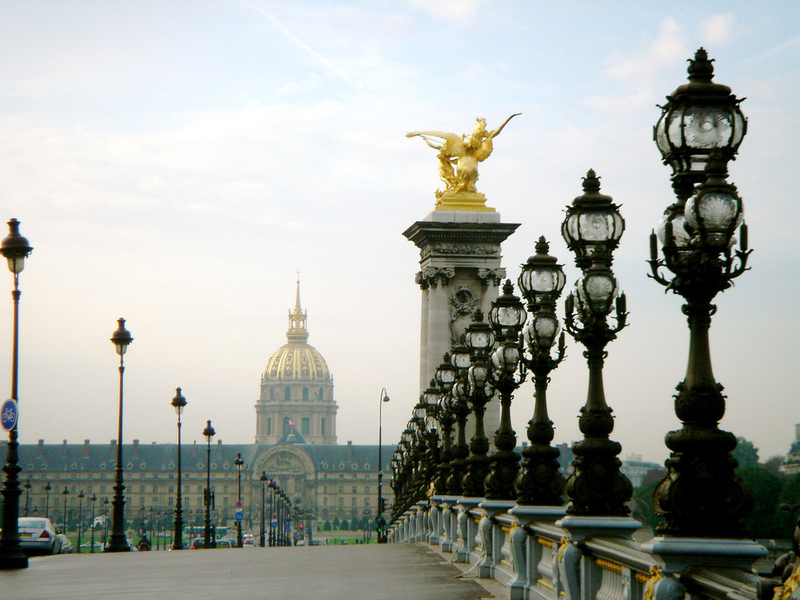 Named after Napoleon’s early victories at the battle of Rivoli, this beautiful boulevard is home to the Louvre and the Tuileries Garden. Palais Royal, just next to the Louvre, is the perfect place to enjoy a day out in the sunlit gardens. This is the perfect street if you want to catch a glimpse of the old aristocratic side of Paris. Don’t miss it! 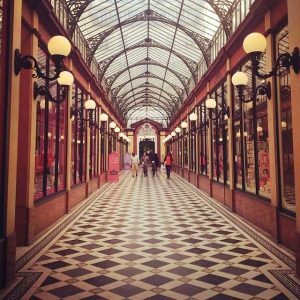 Taking a brief departure from the massive boulevards that dominate the majority of Paris’s main through fairs… the Passages Couverts are a more cozy option. These covered shopping alleys make for terrific shortcuts through town. You can find quaint cafés, pubs, and affordable shopping. Not only that, but the architecture in these covered alleys is absolutely gorgeous so don’t miss them! Learn more about them here! Montmartre was at one point considered to be an oasis for Paris’s artistic crowd. Unfortunately, higher prices as a result of tourism has driven most of the artists into different neighborhoods. 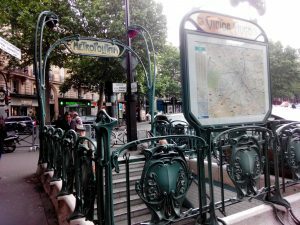 There you can find the Boulevard de Clichy – home to the Moulin Rouge and Paris’s red light district. You will find nightlife and a good time no matter what time of day you choose to visit. 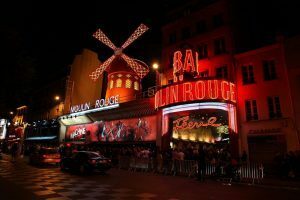 Consider visiting the Moulin Rouge watching a cabaret performance! 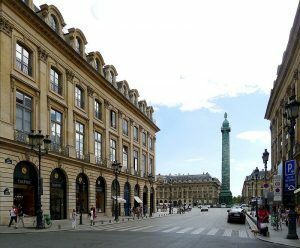 This magnificent street runs just outside of the Hôtel des Invalides and a series of parks and green spaces that you will find people relaxing. We recommend checking out Hôtel des Invalides, where you can discover several museums about France’s war history. It is also the burial site of some of France’s most notable heroes like Napoleon Bonaparte. Don’t miss it! In the heart of Paris, this street runs from the Louvre to Opéra Garnier, Paris’s most iconic opera house. Unlike most grand boulevards in Paris, the Avenue de L’Opéra does not have trees because the architect did not want any trees to obstruct the view of the magnificent buildings front facing façade. The opera is open for performances and both solo and guided tours. Here, you can explore the setting for the famous play “Phantom of the Opera”. 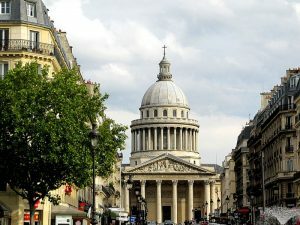 The Rue Soufflot leads from the entrance to Luxembourg Garden to the Pantheon. Both attractions should be in your list of top things to do in Paris. After exploring the Pantheon and its classical greek style architecture, head on over to the Luxembourg Garden for a picnic on its beautiful lawns. 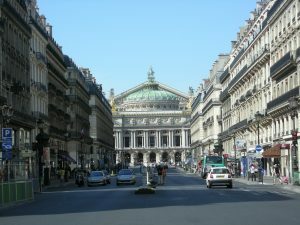 This famous street also runs up to Opéra Garnier. It is bet known for its jewellers such as Cartier. Why not take a look at some of the jewellers’ wares? Perhaps you want to buy an anniversary or birthday gift? What says I love you better than a ring from a city as special as the person you are giving it to?